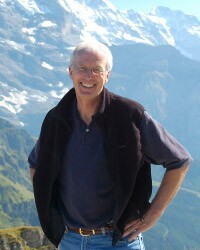 Ken Neff is founder and director of LeaderQuest. He is an author, teacher, conference speaker, and former pastor. He authored Hold Fast, Free to Choose, Choose to Live, Escape, and Rethinking Empowerment and also co-authored A New Testament Blueprint for the Church and A New Testament Blueprint for Church Leadership. After completing his seminary training, he served for a number of years on the pastoral staff of a large evangelical church. Following that ministry, he provided seminars to pastors and actively served in a number of leadership roles in the local church, with extensive experience in small-group ministries. He has created materials useful for rethinking and implementing biblical principles in the local church. He taught for more than a decade at Luther Rice Seminary, Jacksonville Florida campus, and at schools abroad in association with Greater Europe Mission. He earned his BS degree from Florida State University and his ThM from Dallas Theological Seminary.